If you need ID Badges that do not require magnetic strips or bar codes, lamination pouches work great. If you are trying to laminate photos, make sure you get photo lamination pouches for the job to protect the photo while bring out the colors in your picture. Laminating pouches are not that expensive, nor are the laminators needed to run a laminating pouch. You are looking on average a cost of about .02 cents for data card pouches to 1.30 for menu size pouches. 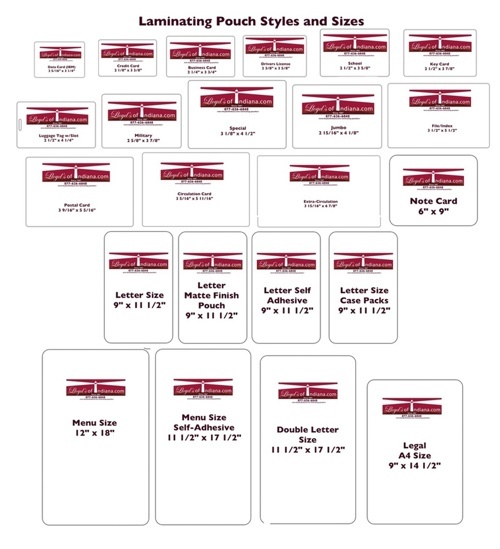 Pouch lamination is an effective way to protect your documents, generate ID Badges and Cards, or distribute information cards.